Confession; I work for an AV company and I’ve just called myself a technophobe. Is that OK? Now I’m not calling myself a real technophobe, a real technophobe is my Nanna getting her first mobile phone and sending texts.with.full.stops.instead.of.spaces because she couldn’t find the space button. 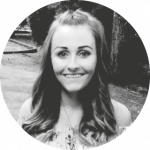 I call myself a modern-day technophobe as I do love tech and I couldn’t possibly live without it, but I only love tech when it’s easy to use and simple. As soon as it becomes overly complicated and not user friendly I switch off. So I’ve approached ISE with a different frame of mind to a lot of other people who attend- I don’t want to know the nitty gritty tech details of every product or service, I just want to know about the benefits and the user experience (UX) or as I see it, the important things. Ahead of the show the thing I was most excited to see (other than the beautiful city of Amsterdam of course), was virtual reality tech. 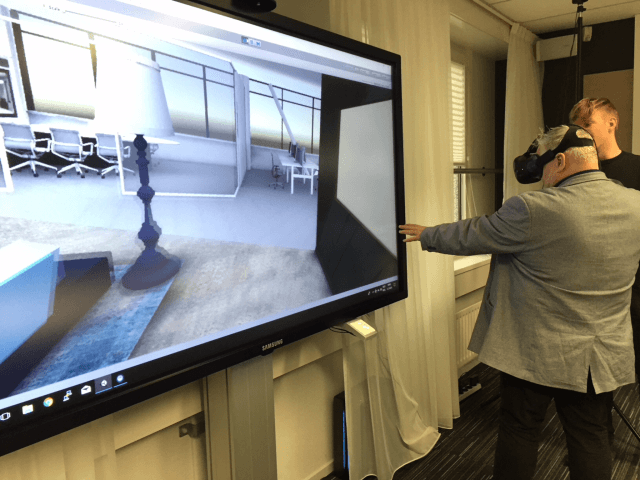 I had my first experience with VR at the ScanSource Imago Business Breakthrough Event in Manchester and saw the huge potential how VR can change the technology industry. Not long after, I watched a heart-warming video on how VR is being used to allow care home residents to travel the world or visit the home they grew up in, and realised VR could also enhance people’s lives if used in innovative ways. After a faultless journey, we arrived in Amsterdam and quickly realised we were in for a cold week! On Monday morning, we arrived at the BIS head office near Rotterdam to a very warm welcome- a lovely difference to the frosty weather! Monday was all about PSNI, we spent the day meeting all the other global affiliates and presenting what we did to each other, so we could learn how we could help each other complete AV projects globally. Involve were up first to present, and Jason did a smashing job, setting the bar high. There were a few audible ‘wows’ when Jason shared that the Immedicare digital hub receives 4000 calls a week. 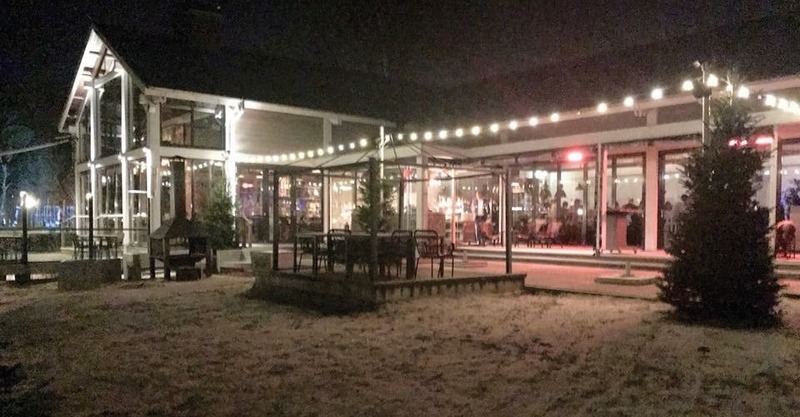 I’d like to thank BIS and the guys from PSNI who put on a great day, that ended in some hard earned food and drinks at Papas Beach House… who knew Hoofddorp had a beach?! Tuesday was our first day at ISE, my first impression was how busy it was! 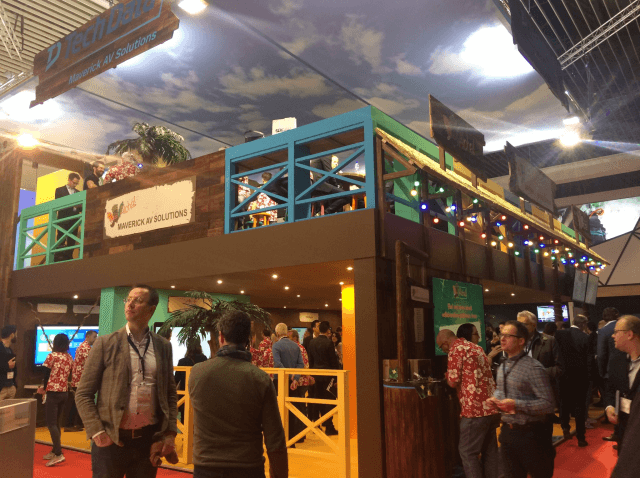 We headed straight to the Maverick AV tiki bar to see the Surface Hub, Cisco Spark Board and the Google Jam Board. Mo and Was gave us a great demo on the Microsoft Surface Hub and Logitech SRS, to watch the demos click here. Next we went to Samsung, which was probably the busiest stand I attended during the show, and for good reason too- they had some pretty impressive stuff to see. During the show Samsung unveiled The Wall Professional, a display so clear it literally looked like a piece of art! Speaking of art, the QLED screen suspended above you to look like the ceiling of the Sistine Chapel was incredible. The rest of Tuesday saw us visit Crestron, Harman, Philips and Top-tec. My shout-outs go to Howard Algar of Crestron for his energetic and interesting demos of the newest Crestron products, and Top-tec for their hospitality (the sit down [and the beer!] in their bespoke huddle room furniture was very well received after a long day on our feet). The first stop on Wednesday was to Logitech. We have big things on the horizon with Logitech so we enjoyed having an in-depth look into their new SRS, which allows you to join a Skype for Business meeting in just one touch. Next we arranged an impromptu meeting with Neil Fluester of Polycom, and we discussed the latest Polycom offerings including the pano and the VoxBox, and also the power of social media! 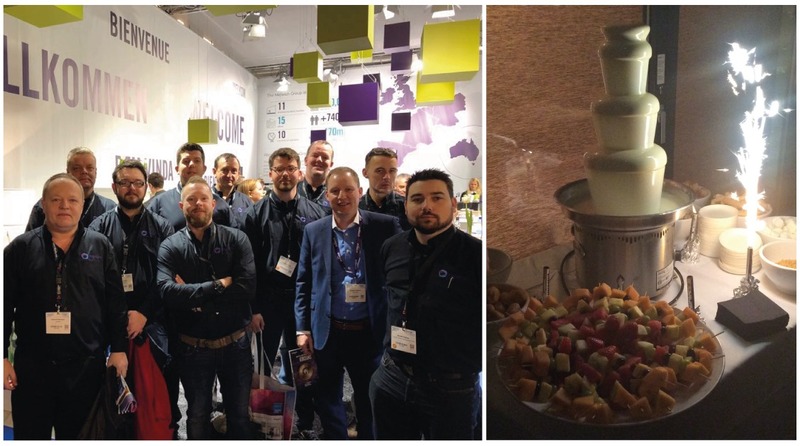 “The way ISE continues to grow amazes me, this year we had visitors from South Africa, Dubai and up to the Nordics to see the Pano, Trio and our new VoxBox Bluetooth speaker device. 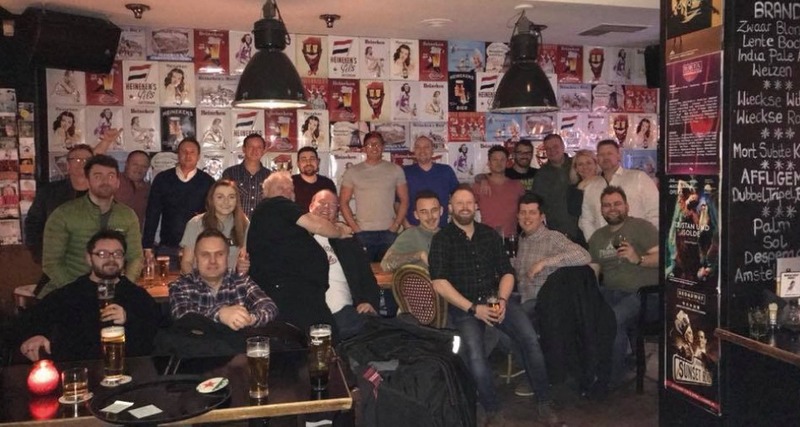 It was great to share a beer with Kev, and meet up with Jason, Amy and the team although clearly the sights and sounds of ISE and Amsterdam the night before had been somewhat overwhelming to Amy for early morning meetings!” said Neil about ISE 2018. The rest of our day saw us make short visits to Iiyama, LG and Catchbox. It was great to finally meet Arturs Gubins of Catchbox, after we teamed up for the Bett Show last month. 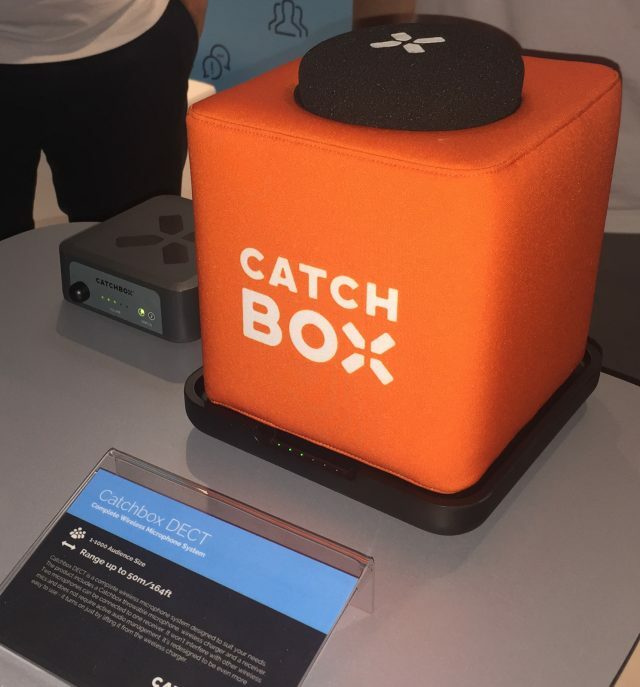 Catchbox were showcasing the DECT at the show, which had a brand new wireless charger to allow the throwable microphone to ‘never lose power’. “ISE is the main event in the AV industry and since our aim is to disrupt the AV industry with a new type of Microphone, we had to be there – we have been exhibiting there since 2015. 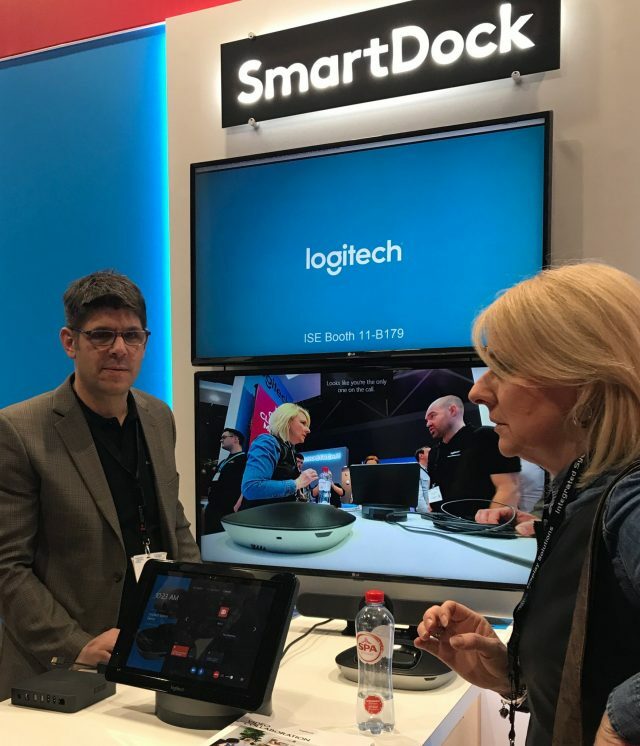 This year we were unveiling the DECT, which will allow us to compete with larger conference room microphone manufacturers on a scale like never before” said Arturs. What was my highlight of ISE? Before the show I said I was looking forward to seeing virtual reality at ISE, but I unfortunately didn’t get to see any at the show, however BIS were using virtual reality as a way to visualise a meeting room design before it was actually built, which I thought was very innovative. My highlight was something I hadn’t actually expected to see- holograms! Hypervsn is a visual solution which shows unique 3D video content with holographic effect, for amazing results. Whilst watching the stunning visuals I saw the potential it had to be used in the place of digital signage to create a memorable customer experience in the retail sector. Watch my videos below to see for yourself, even though the videos don’t completely do it justice! My other highlight of my time in Amsterdam was the Involve Winners Party. Every year Involve picks a winners circle, including Engineer of the Year, Sales Performer of the Year and Sales Team Member of Year. Involve team members who have performed well over the year get selected for a vote and the rest of the company get to vote for their winners. The winners prize is the trip to Amsterdam, and a winners party whilst they’re there. This year’s winners party for the 7 winners, and the rest of the ISE attendees was at the Leidsplein Heineken Hoek and then the Hard Rock Café. Thanks to Jerome from Samsung and Richard from Harman for joining us and sponsoring the evening! 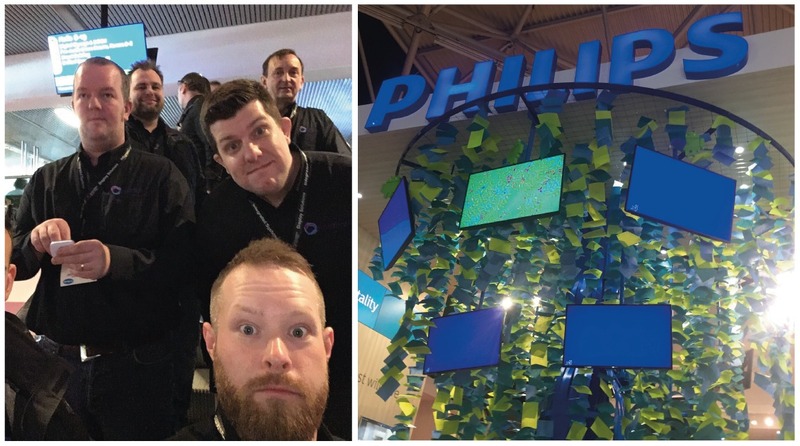 Overall I had a great 4 days in Amsterdam, Integrated Systems Europe have really hit the nail on the head by combining the world’s largest AV systems integration show and one of the world’s most beautiful and fun cities- here’s to ISE 2019!